Mr John Rolfe, Principal of St. Stephen’s International School, welcomed Mr Chaowarit Songnawarat, the Director of the Chatuchak District Office. 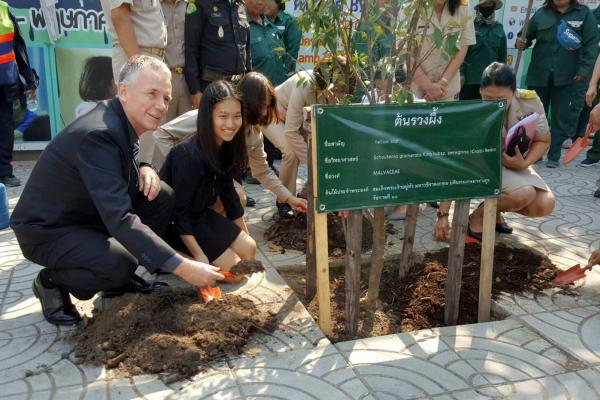 Together they planted the first Yellow Star tree on Vipawadee Rangsit Road, assisted by the school's two Head Prefects. 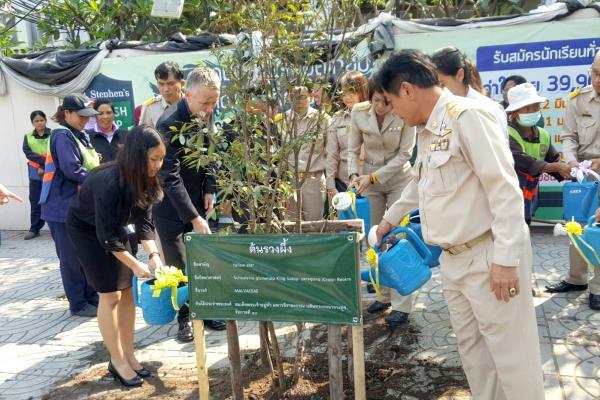 The Yellow Star tree is the tree of His Majesty King Maha Vajiralongkorn Bodindradebayavarangkun, King Rama X.